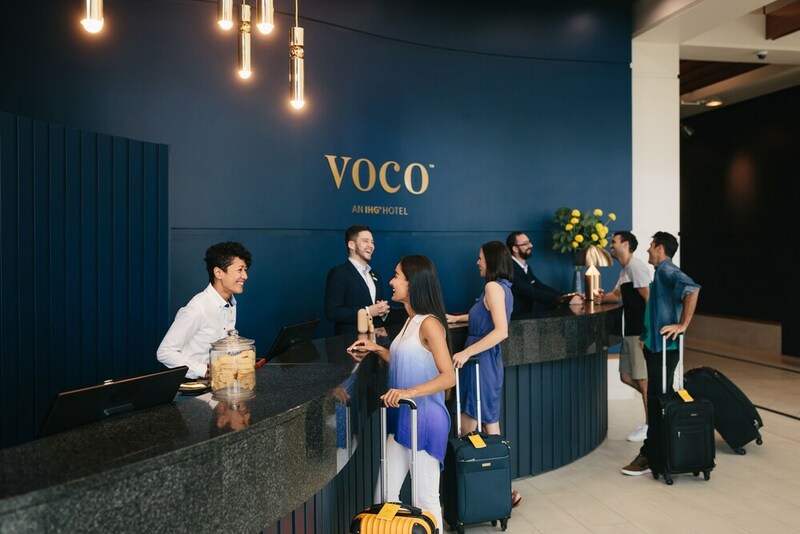 With a stay at voco Gold Coast (formerly Watermark Hotel & Spa) - An IHG Hotel, you'll be centrally located in Surfers Paradise, steps from SkyPoint Observation Deck and 5 minutes by foot from Surfers Paradise Beach. This 4.5-star hotel is 0.5 mi (0.8 km) from Cavill Avenue and 0.6 mi (1 km) from Chevron Renaissance. 2 outdoor swimming pools and 2 spa tubs are on site. In addition to a seasonal outdoor pool, other recreational amenities include a fitness center. This property's policy is to refuse certain bookings for the purpose of group events or parties, including pre-wedding stag/bachelor and hen/bachelorette parties. Reservations are required for spa treatments. Reservations can be made by contacting the hotel prior to arrival, using the contact information on the booking confirmation. The property has connecting/adjoining rooms, which are subject to availability and can be requested by contacting the property using the number on the booking confirmation.